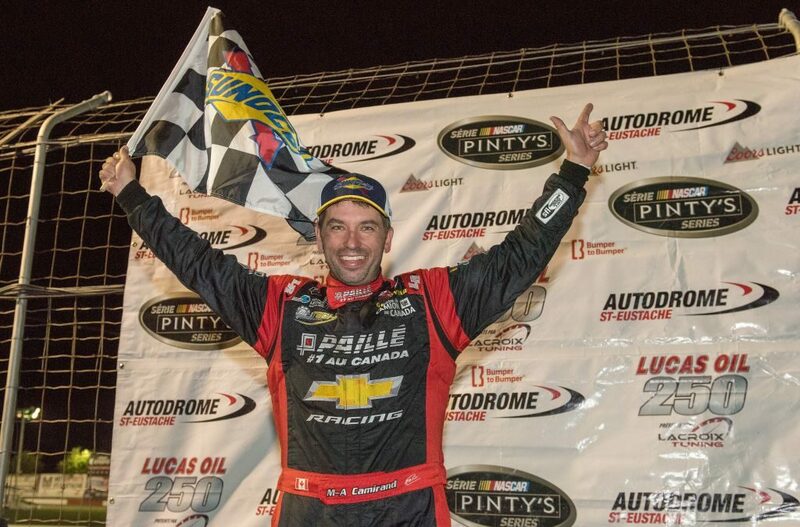 St-Eustache, QC, September 9, 2018 – Marc-Antoine Camirand scored his first career win in the NASCAR Pinty’s series, on Saturday night, as the driver from Saint-Léonard-d’Aston claimed the victory in the Lucas Oil 250 at Autodrome St-Eustache. Camirand drove his GM Paillé n°22 Chevrolet Camaro to the front of the field and took the lead on lap 239 to capture the checkered flag after an eventful race. The Lucas Oil 250 will air on Saturday September 15th at 3:30 p.m. on TSN and on RDS2 on Tuesday October 2nd at 10:30 p.m.